The road from being chained to the discovery of freedom is visualized with original humor and imagination through the story of a falcon, a falconer and other animals. Nuri Akalin is a Turkish writer with two published novels to his names. He studied cinema at the Istanbul University and is currently completing his studies in the Netherlands at Zuyd Hogeschool- Visual Communication department. He is currently working on his third novel and on a documentary as a director. Rawan Alhusaini is a Palestinian filmmaker and audio visual artist based in Bahrain. Rawan is a Crossway Foundation Alumni. Rawan's photography and video work has been exhibited in Ankara, Jeddah, and Bahrain. Rawan is the Winner of Art Jameel Photography award 2016. Rawan's 3 short films have screened at UCB Multimedia Showcase. Humeyra Bagci is a Rotterdam based film director. Muhammad Refaat was born in Cairo in 1987. He specialized in TV & Radio studies at Cairo University. His debut short film, The Kingdom, was awarded as the best foreign short documentary in the International Student Film Festival in Hollywood in 2011. At the school of Windesheim in the Netherlands, he further studied media and film production. His films include The Kingdom (2010), Street Artists, (2011), The Backyard (2014). He also worked as a producer in dozens of documentaries that have been produced since 2014 around the MENA region. As a writer, He fulfilled three short scripts One Pound (2012), The Walnut Plank (2014) and A Chained Prey (2017). He is currently writing his long narrative film that is based on a true events. Hakan Ünal is a Turkish writer and film director. After having graduated and studied ‘English Literature and Humanities’, he started to work in photography and film. His first short film that he has written and directed screened at many national and international film festivals and won various prestigious awards. In his films, Hakan examines and analyses religion, conscience, crime and sin with Freudien Dynamics. The Arab Film Festival is an artistic forum where a nuanced image of the cultural, political, social and artistic situation in the Arab world is shown and in which films about hot topics in the Arab communities in Europe are programmed. 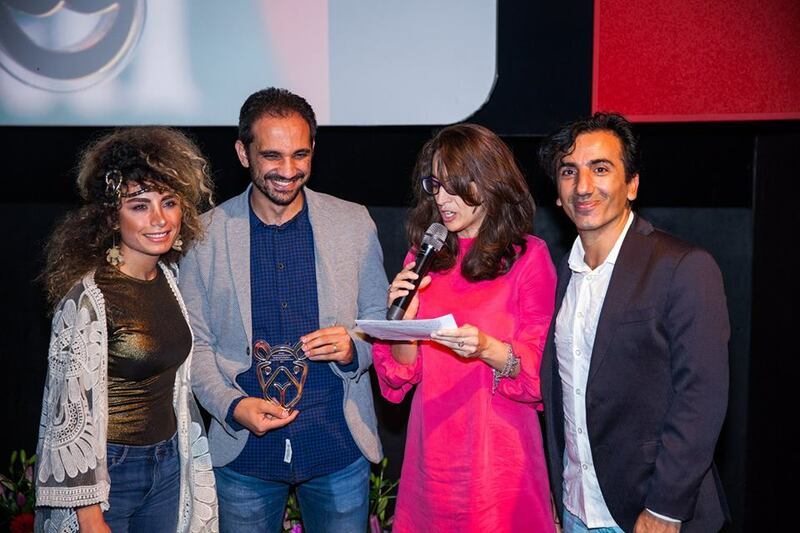 By doing this, Arab Film Festival creates space for an open dialogue about art, human rights, emancipation and political freedom in Arab countries and in Europe as a whole and in the Netherlands in particular. Dutch people with Arab roots get the chance to stay updated on the latest developments in their countries of origin in a way that goes beyond official media, mosques or their own social networks. The Arab Film Festival offers a good occasion to attract urban youth that generally don’t feel attracted to mainstream cultural events. The Arab Film Film Festival considers the development of young talents of the utmost importance and therefore organizes workshops and masterclasses given by filmmakers from the Arab World and Europe. Furthermore, we dedicate a part of the program to experimental films and developing talent. The Arab Film Film Festival is organized by the Foundation WaaR art and culture. The foundation has several goals including promoting nuanced imaging in the cultural and societal atmosphere by producing or employment of audio-visual tools.